A no spend month, week, or even just a weekend can be a great way to save money and hit the reset button on your finances. If you are planning a no spend month, it’s important to make sure that you have fun activities planned to keep yourself from being tempted to spend money. 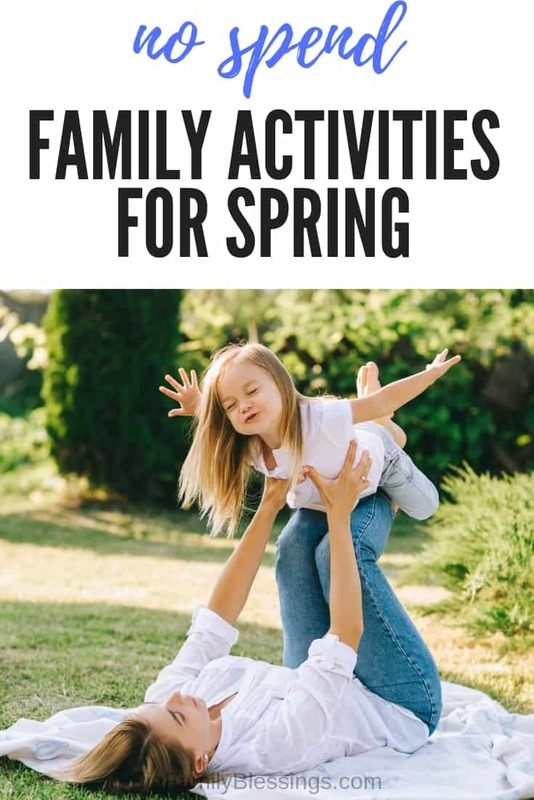 If you are looking for some inspiration, here are a few great no spend activities for spring that your whole family can enjoy! The weather will start to get a little warmer and the flowers will start to bloom in spring! This is a great time to head out to your favorite trail and go for a nature walk! If you aren’t able to hit the trails for a hike, just a walk around your neighborhood can still be fun. Hosting friends can be difficult during a no spend month. However, if you host a potluck dinner, you can feed a crowd and still be social! Have everyone bring their favorite side, main course, or appetizer and enjoy a night with friends or family. Break out all your DVDs or even home movies and have a movie marathon! Pop some popcorn and raid your pantry for snacks! You may even find a few movies that you forgot you even owned during the process. No spend months are a great time to organize your home and figure out what you actually have on hand. Sometimes toys, activities, and even books can get lost in the clutter! Challenge yourself to finally get your home organized during your no spend period. When was the last time you went outside to play with your kids? Drawing with sidewalk chalk, running around the yard, or even blowing bubbles can be fun for all ages! 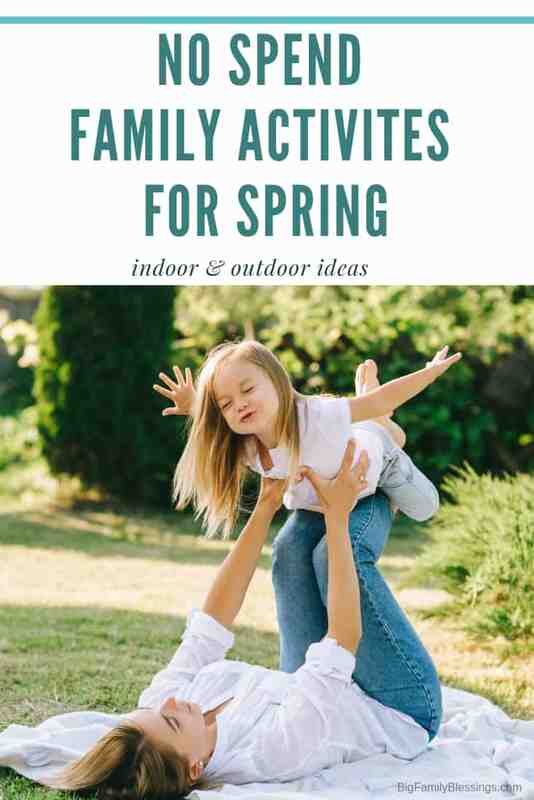 If the weather is nice, head outside and make some memories with your kids. Game nights are a great frugal activity when you can’t spend any money! If for some reason you don’t have a single board game in the house, you can make this a video game night or even a make up your own game night! Get creative and see what games you can find in your home. If you live in the city, head out to a place that won’t be impacted by city lights and sit back and look at the stars. You might even have a great vantage point from your own backyard! If you are doing a no spend month, then you may be starting to get a little creative in the kitchen by now. Grab some food items and head to the grill! See what you can create with the food you have and the grill! Although you can’t spend any money this month, you can still have a great time! 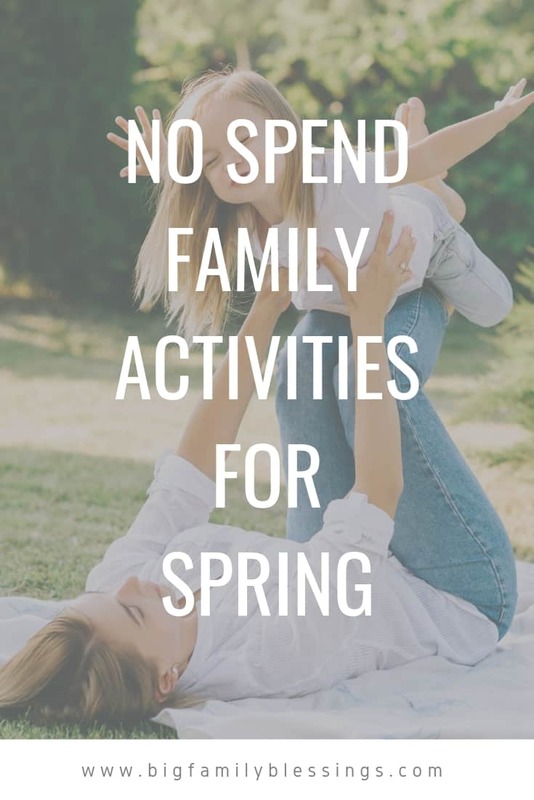 These no spend activities for spring are great for a no spend month, week, or even a no spend day!